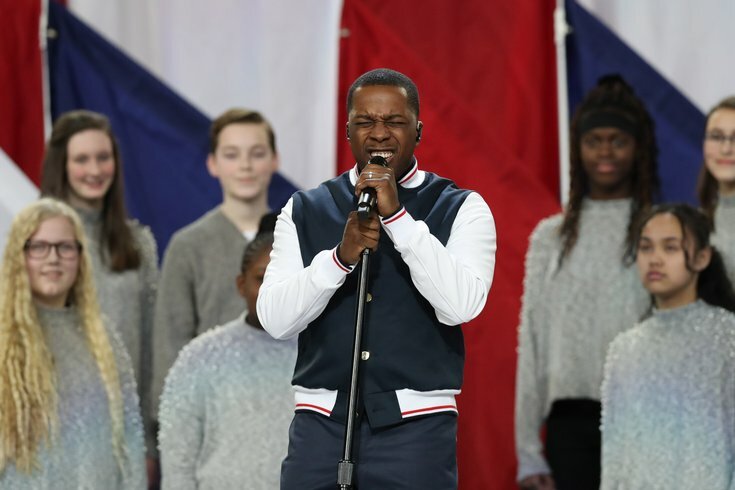 Leslie Odom Jr. sings "America the Beautiful" prior to Super Bowl LII. It’s usually not easy (or affordable) to see performer Leslie Odom, Jr. live in person. Since wrapping up his run as the original Aaron Burr in Broadway’s perpetually-sold-out musical “Hamilton” in 2016, some of his biggest gigs have been just as elusive -- he most recently sang “America the Beautiful” at a Philadelphia Eagles game you may have heard about. Odom’s publisher announced Tuesday the dates for Odom’s six-city book tour, which kicks off in New York March 26. His second stop will be in his hometown of Philadelphia on March 28. “Failing Up,” which goes on sale March 27, will include personal stories about Odom’s journey to “Hamilton” with the hope to help readers live up to their own potentials. His appearance in Philadelphia will be at the Levitt Auditorium and hosted by Children’s Book World. Tickets, on sale now, are $25 and include a copy of the book. If you want to make sure to get a signed copy, you can preorder and submit the receipt online to get a limited edition signed copy.